JL25and3 - "Joba Joba, we accept you, we accept you, one of us." williamnyy23 - It is exciting, but in a weird way. The Yankees are serious need of some wins, and are essentially employing a formula that gives them little chance to win tonight. Who says you can't rebuild in NY? OldYanksFan - Joba overthrowing a bit? DaPuj - Joba does understand that his pitchcount was supposed to be spread over more than one inning, right? monkeypants - And he could have been out of it with Rolen's 73-hopper past Giambi. RIYank - JD is showing Shannon Stewart the proper way for the lead-off man to get to third. monkeypants - Whoa..when did Giambi grow the funny 'stache? And when did he learn to hit to the left side? RIYank - See, Melky is capable of learning, making real progress. Unfortunately he's using the wrong role model at the moment. Zack - Hey look at that Bobby! Did you not realize the wall was there or something? 51cq24 - What! He must have thought the wall was way behind him. Clay Hoadley (LA) - the Yanks are pulling out all the stops for Joba today, Giambi going the other way, Abreu at the wall. Crazy! williamnyy23 - This is where the game stops being exciting and gets very scary. RIYank - For some reason Molina likes to have a runner on third base, I guess. nick - Sterling is just shocked that Toronto has scored a single run without a hit, twice....could somebody check bb-ref and see if this has ever happened before? Just fair - There's Matsui. Not resting on his laurels and continuing to try. RIYank - He's our most morally admirable player. Japanese players are virtuous and honorable, you know. Yankees Brasil - Looking at the pitching matchups in this series, there's a pretty good chance the Yankees will be swept. I hope it doesn't happen, but it's a real possibility. fgasparini - It’s amazing how often it happens--a player who makes a lousy defensive play in one half-inning doesn’t do a thing offensively in the next half-inning. williamnyy23 - It might be mean, but I would make Molina take all pitches in a 3-ball count. Dave S. - From Gameday, it looked like the ump was squeezing Joba. Was he? SG - There were some tight pitches but Halladay’s getting the same zone. Joba’s command was definitely not good. old thurman fan - Roy not happy either. He actually deserves close calls. Schteeve - To me Jeter looks tentative at the plate, and on the bases. I've never seen it from him before, so I think he's hurt. Either that, or he's pissed off about Torre. OldYanksFan - That ain't helping, but I agree his problems are mental... attitude. I believe he is pissed that ARod is now a true Yankee and will be for TEN years. For 10 years it has been 'Jeter and the Yankees', 'Jeter's team','the guy you build a team around'. No more. Now, it is ARod the MVP. The contract. The 800 HRs. It is not just Derek's OPS. His baserunning, clutch hitting and general 'baseball awareness' are nowhere to be found. The Jeter era is over. We all sense this. Maybe he does too. RIYank - Halladay is just getting stronger. williamnyy23 - The 1925 Yankees with Ruth and Gehrig went 69-85 amid a long run of great success. I wonder what the blogs were saying back then? nick - Send Gehrig down--he's not ready! Babe is 30 and fat--history tells us his decline phase is imminent...can we deal him for an 8th inning guy? OldYanksFan - Silly you. There were no blogs on the Internet back then. SF Yanks - Now would be a good time for one of Jose's early season doubles. Jonathan - Watching Halladay pitch to Molina is like watching a cat play with a cockroach. SF Yanks - I said double, not double PLAY. Damn. RIYank - Maybe a new prescription for Edwar? old thurman fan - Big spot for Edwar. Does he want to send me to bed or not? old thurman fan - He does. Good evening men. williamnyy23 - The Yankees look a lot like the teams they used to crush. Max - Veras pours the gasoline, Edwar ignites the flame. Just like we drew it up. Don - No sense keeping this game close. williamnyy23 - Come on Bobby...pad your stats here. randym77 - The Jays seem to have solved their "not scoring runs" problem, at least tonight. Yankees Brasil - Who's pitching tomorrow? Posted by Magpie on Wednesday, June 04 2008 @ 02:10 AM EDT. Fascinating read. My favorite was "Jonathan - Watching Halladay pitch to Molina is like watching a cat play with a cockroach." And I don't even get it. In the Bronx, the cats play with cockroaches, not with mice. Same thing here in Beijing. Nice read. I hope that was edited - if not, I might become a Yankee fan just to enjoy the wit. Nice to see Wilkerson sorting it out. He's hitting .342 and slugging .500 over his past 10 games. Our pen keeps upping the stats. Now we have 5 guys with the most innings in then pen over 120 - or higher than the best starter on the team was last year. 4 of them (not Frasor) are over 200. Wow. I know ERA isn't the best measure for a pen but still it is amazing. Mix in 3 in the rotation over 120 and we have a team ERA of 123 - or 3 points higher than last years best pitcher. Lets hope McGowan and AJ pick it up - slackers they are dancing around league average. Was last night's game Denbo's revenge? It sure is nice thinking that the Yanks have Rivera and not much else for the next 2 games if they are close. That takes a bit of the heat off Litsch and McGowan. It is interesting checking B-R to see the preview for tonight. Rivera is well rested, 3 days off after two days with under 16 pitches thrown each day. Ohlendorf is on 3 days rest. Farnsworth has one day rest after pitching in 3 of 4 days. The rest all pitched yesterday and threw over 16 pitches each. Thus we have a Yankee team with a tired bullpen counting on Rivera and Ohlendorf (6 HR in 38 IP). This could be fun if Mussina shows any weakness at all tonight. Meanwhile the Jays have 4 guys who have had at least 2 days of rest while Carlson should still be available if needed (15 pitches yesterday after 4 off days). Sweet. Great display of working the count and dragging out Chame-ba-lan (as Jerry calls him) for as long as possible. Eck pretty much said the Jays were trying to do as much post-game, saying it's tough when the other team knows you are on a pitch count. I listened to the 1st inning before going out to play baseball in the rain yesterday, and I can't remember the last time I was so happy after the top of the 1st, and so grumpy after the bottom of the 1st. By the time I was done playing, it was 9-3 in the bottom of the 9th and the evening had gotten alot better. Gotta figure out a way to take at least 2 out of 3 now. Anything less would be a big disappointment. What do you guys think to this trade? Matsui is being paid 13 M for this year and next. (He has full no trade clause which we'll ignore in this fantasy). Burnett is at 12 M and gives the Yankees a good pitcher for this season and I assume that they extend at 3 year 15 M a year. Jays get a good left fielder and a limited commitment to a player. Looking at the stats, Matsui is looking pretty dam good so maybe not but you've got to give up something to get something. I should mention that this trade would have to happen now, not 3 months from now. I realize that the Yankees will probably sign Burnett at the end of the year for a draft pick but I'm putting some stock into the fact that they may actually want to win some games this year. The Yanks pitching is not good but they're batting line up is still massively impressive. 2) Who would the Jays call up to be the 5th starter? 3) Who would the Jays call on once one of their starters gets injured? The Jays pitching, while awesome this year, is extremely thin. While I like the idea of a Burnett-Matsui swap, I think it would create another rather large hole. Cut one of them. The Jays owe no allegiance to Mench or Stewart. Surely you can't argue that the DH/LF spot is too good to be upgraded by Matsui. No doubt they would be weaker but other teams seem to manage. I think having a good bat would win more games than an average 5th starter. Who ever's 2nd on the depth chart now. I know that this isn't going to happen but I think its a good fit. Woo ... when's the last time someone wrote THAT about a NYY/TOR pitching matchup? A win tonight would be huge. It would guarantee a winning road trip (on our last three-city tour) and a series win against New York. And it would set us up for a possible sweep on Thursday. I don't think Litsch is likely to pitch shutout ball against the Yankees (who have decent power and several hot hitters), even if their lineup is depleted without Posada. I think we need a quality start from Litsch, but the key will be getting to Moose early and often. He can still be tough if he settles in. Interesting to note Litsch's 3 starts vs the Yankees. So, given that progress we should expect 9 IP, 0 runs, just over 100 pitches and an 88 game score :) Realistically 6 IP, 2 runs, and a 5-2 lead when leaving is what I'm hoping for. The biggest key is not Litsch but Mussina. 4 of the last 5 years (including this one) his ERA+ has been below 100. He is no longer an ace but now is a #3 or #4 starter. He has allowed 4+ runs in each of his last 3 starts (7 runs, 1 earned in one of those) with his peak being 7 IP. 5 K's is as high as that has got, but he has yet to walk more than 2 in a game. 10 of his 12 games he has pitched 5 innings at least. His last game he threw 109 pitches, one of only 2 times he has cracked 100 with only one other game reaching 90. So, for the Jays to win they must work the count and get Mussina's pitch count up quickly. He can be winded before the 5th but odds are we'll see 5 out of him. Then comes feast time on the pen, but watch out for Rivera who is very well rested at the moment and might be pushed for 2 innings if the situation is there (has been used for more than 1 IP 3 times this year) given the high pressure Girardi must be feeling by now. Yes it was, from a total of at least 400 or so comments (I forget) on the two sites. The Yankees fans don't generally have the same hilarious, all-pervading sense of doom that still - still - infects the Red Sox rooter, but they are likewise outraged if they don't win every single game. What's always fun for me about going through these things, for any team, is what you learn about the team's players. Yankees fans take it for granted that Bobby Abreu will avoid even coming near the wall. They were shocked by his catch last night. And they're starting to call the manager "Clueless Joe," which is really good. the cats play with cockroaches, not with mice. There are urban legends about Bronx cockroaches. Bigger than mice, they say. Maybe the cats like the challenge. 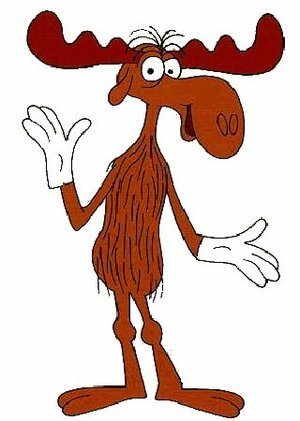 Yankees fans will take heart in the fact that Bullwinkle leads the AL in wins, not that this impresses them all that much. They regard a typical Mussina outing this season as one where someone makes an error behind him and he petulantly allows three runs to score, none of which muss up his ERA.